Euromaidan is the name of a revolution that has aligned the country of Ukraine closer to Western Europe. The revolution ignited on the night of November 21, 2013 when a mass protest began on Independence Square (Maidan) in the capital city of Kyiv. This protest was in response to pro-Russian President Viktor Yanukovych’s rejection of a trade pact with the European Union and instead looking to form closer ties with Moscow. Recognizing this as a farce designed only to continue the cycle of government corruption, Ukrainian citizens flocked from across the country to join the rally. Protestors remained day and night on Independence Square enduring harsh cold weather and police brutality. With hundreds of Ukrainians killed or maimed, the protests became a success when President Yanukovych fled the country in February of 2014 allowing for the formation of a new opposition government. Please take a minute to pray for those heroes who were brutally killed during tragic events on February 18-19, 2014 in Kyiv, Ukraine as they led the way to an independent democracy. To learn more about them please visit our page Heaven's Hundred; Небесної Сотні. 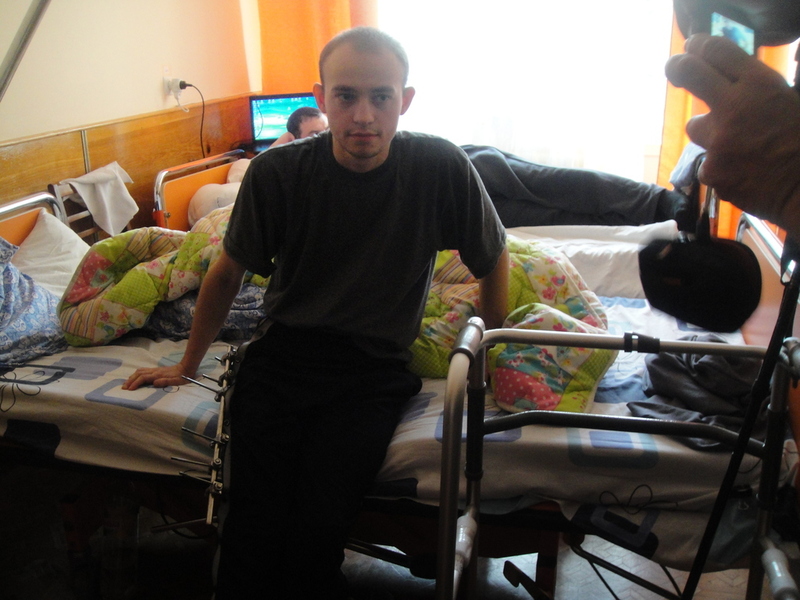 Olha Halushko suffered from head trauma when a plant pot was thrown from a fourth floor on January 23, 2014 during the assault or the Cherkasy Regional State Administration. She was in a coma for 19 days and pulled through two operations to treat the trauma and is currently waiting for a third. Was provided with $1,000. Ольги Галушко 23 січня підчас штурму Черкаської ОДА на голову молодої дівчини кинули з 4-го поверху вазон. Постраждала була в комі 19 днів. Їй зроблено 2 операції. На черзі 3-тя. $1,000. Yurij Materetsky, born in 1990 and from Ditkivtsi village, Brodovsky district, Lviv oblast. Trauma from mine-explosives resulting in multiple fractures to the right tibia and extensive defect to the soft tissue of the right leg. Was given $800 in assistance. Юрій Матерецький, 1990 року народження, проживає у с.Дітківці, Бродовського району, Львівської області.Мінно-вибухова травма, відкритий множинний перелом кісток правої гомілки. Обширний дефект м’яких тканин правої гомілки. $800. Michael Kostyshyn, born in 1971 and from Nyzhni Struten, Rozhniativ District, Ivano-Frankivsk oblast. On the way from Kyiv, a deliberate attack on the bus he was riding, caused glass to cut into his abdomen resulting in a damaged liver, pancreas, small and large intestines. The total amount of aid provided is $860. Treatment continues. Михайло Костишин,1971 року народження, проживає у с.Нижний Струтень, Рожнятівського району, Ів-Франківської області.По дорозі з м.Києва, внаслідок навмисного пошкодження скла у автобусі, дістав різану рану живота. Були пошкоджені печінка, підшлункова залоза, тонкий і товстий кишечник. Загальна сума допомоги - $860. Лікування продовжується. 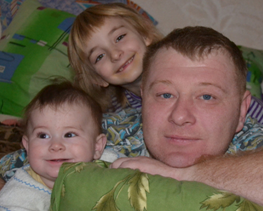 Vladislav Zahorovko, 38 yr. old, from Brovary, Kyiv oblast. On December 1, 2013 was severely beaten and arrested. In poor health and cannot provide for his three children. Владислав Загоровко, Проживає в м.Бровари, Київської обл. 38 років. Був 1-го грудня жорстоко побитий на вул.Банковій і заарештований на 2 місяці.Втратив здоров'я і роботу. На утриманні 3 дітей. Serhij Dorosh, member of Mychajlivska Sich (St. Michael’s Camp), with bullet wounds. Rehabilitation will be long term. Through the generosity of one donor, he received aid in the amount of $1,000. Сергій Дорош, xлопці, члени Михайлівської Січі, з важкими вогнепальними пораненнями рук і ніг. Реабілітація буде тривалою. Загальна сума допомоги - $1,000. 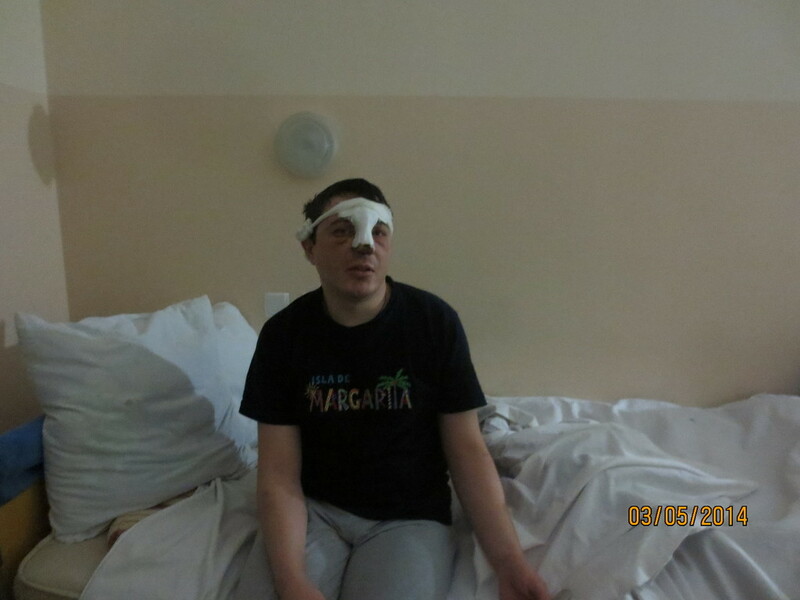 Vitaliy Hrabovskyj was hospitalized in November 2013 after receiving a severe beating at the Maidan. 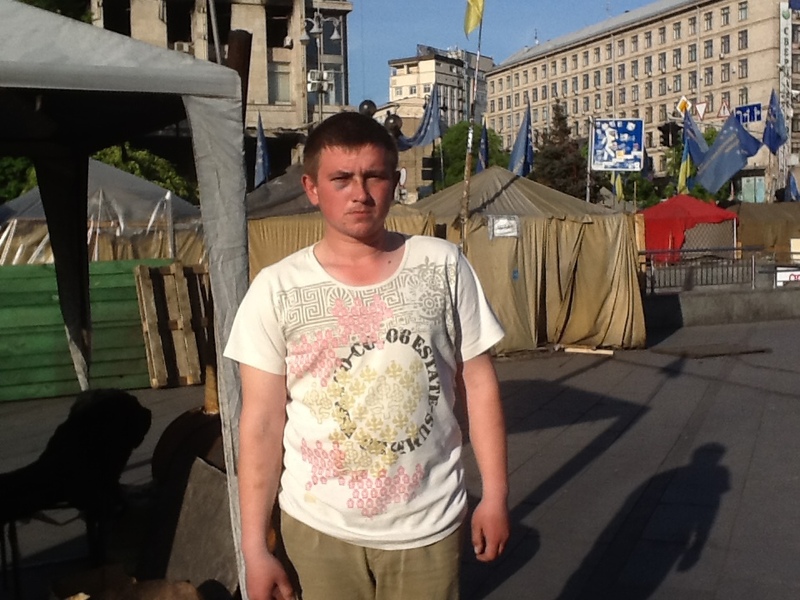 After Easter he was discharged from the hospital and lived in a tent at Maidan. At 20 years old, he cares for his grandmother living in Volyn. He received aid in the form of medicine, clothing and an additional $500. Віталій Грaбoвcкий на Майдані з листопаду 2013 року. Внаслідок травм отриманих підчас побиття лежав у лікарні. Пiсля Паски виписали з лікарні Живе в палатці на Майдані. Йому надана допомога одягом, лікамиі і коштами (₴500). Він піклується ще про бабцю, котра живе на Волині. Вiталію 20 років. Має струс мозку від ударів. 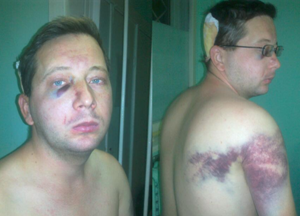 Roman Pozharnyuk received a severe beating at the Maidan and spent several weeks in the hospital. $500. Роман Пожарнюк Вручення допомоги. Поранний Майданівець, Вручено $500. 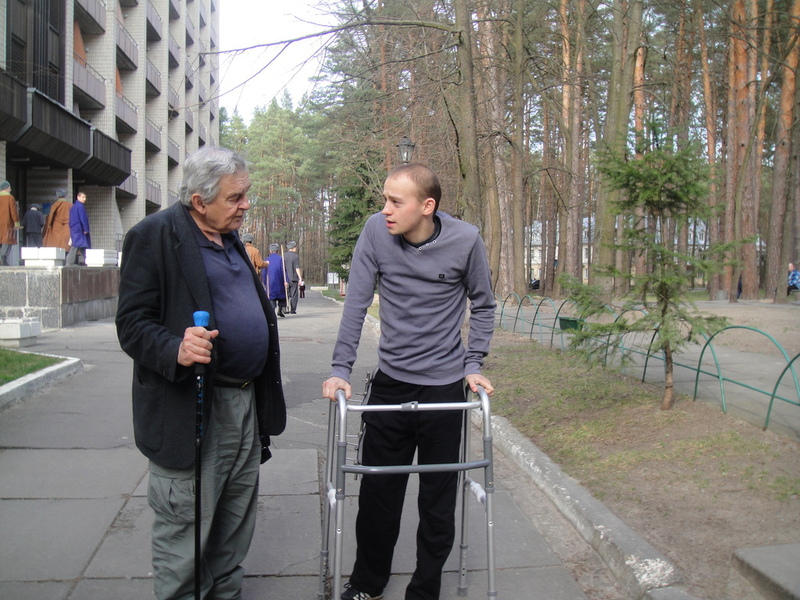 Eugene Haraulya suffered from a severe injury to the right leg from his time spent at Maidan. Monetary aid was sent to help him pay medical bills from hospitalization from February through March 2014. $1,000. Євген Гарауля Вручення допомоги. Поранний Майданівець. $1,000. 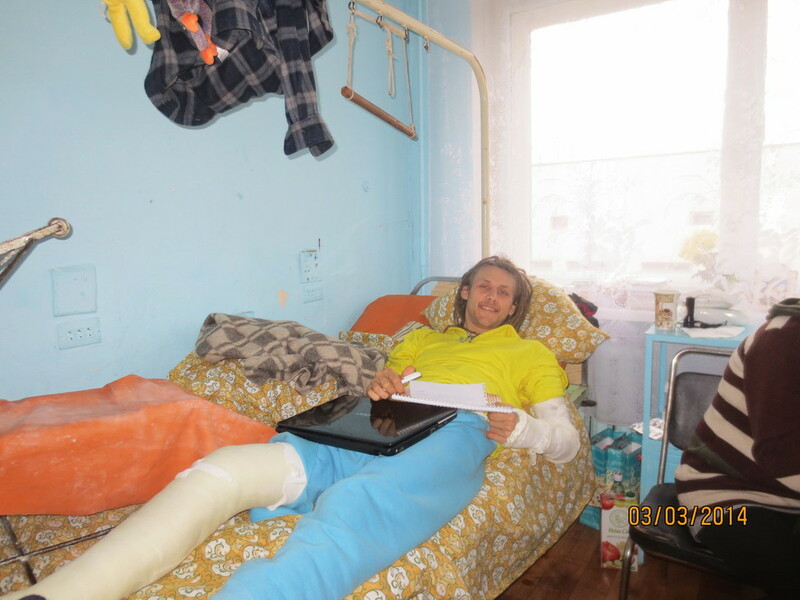 Igor Chernetskyi received severe injury to his right leg in combat at Maidan in February. Rehabilitation will be long term. Monetary aid he received to cover the costs of rehabilitation and assist his family through the rehabilitation process. $1,000. Ігор Чернецький був поранений на Майдані в лютому 2014. На черзі 3-тя. $1000. Вище поданий звіт є на підставі звітів, квитанцій та посвідок, котрі знаходяться в головному бюрі ЗУАДК-у. Since February 2014, humanitarian aid has been collected for the Fundraising Campaign for the Humanitarian needs of the Ukrainian Army & National Guard and their families. 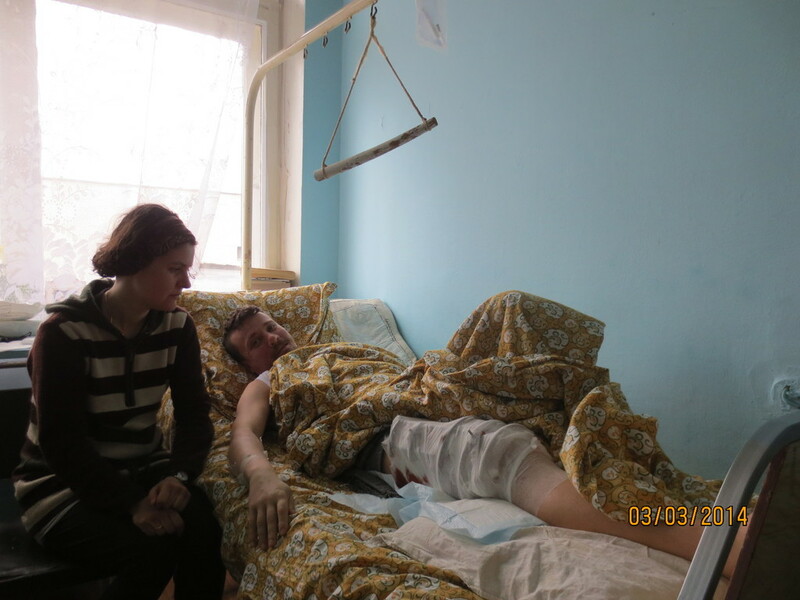 Now UUARC has a new program: Adopt a Wounded Ukrainian Soldier. Beginning in November 2014, we will broaden our reach by providing assistance to Ukraine’s brave men and women who have risked so much to defend Ukraine, by providing funds to help pay for medical equipment, medicine, clothing, food, and other much need necessities, so that they can begin to rebuild their broken lives. The Ukrainian Community in the United States $745,692 for the needs of the Maidan and its aftermath. Since February 2014, your donations have been spent on helping the injured with their medical needs. Although medical procedures were done for free, there was need for prosthesis, medicines, and general financial support. Based on the request from doctors or the families of the injured, UUARC representative in Ukraine distributed the necessary aid. UUARC sent paskas to those at the Maidan to enjoy Easter 2014. Пасочка від ЗУАДКу для майданівців у м.Києві. UUARC has not posted a donation list, as many donors have requested anonymity. In the future, unless giving publication consent, your donation will not be published. All donations are subject to audit, in compliance with IRS laws. 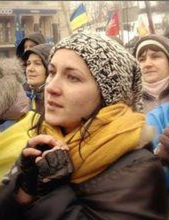 The following is a list of Humanitarian aid Maidan donations that have been made to UUARC in Memory of a loved one from November 24, 2013 through March 31,2014. Eudokia Sorochaniuk ecipient of US national folk artist award for her work with Hutsul embroidery and weaving. Joseph Graboviy who never came back home from France, due to bolshevist terrorism and has never seen his only son. The week of February 17 witnessed the Ukrainian people battling for their lives and for their right to live in a free democratic Ukraine. The world also bore witness to the autocratic regime’s inhumanity to its own people. 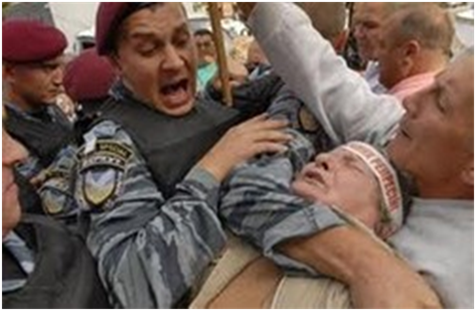 The Maidan protesters have been tortured, beaten and murdered. The United Ukrainian American Relief Committee supports the call of the World Congress of Ukrainians and Ukrainian Congress Committee of America for the United States and the European Union to immediately freeze the assets of the criminal Yanukovych regime, and to deny them entry visas. We call on the signatories to the International Criminal Court in the Hague to investigate the crimes against humanity perpetrated by the Yanukoych regime and his backer Putin. We bow our heads before the victims that lost their lives, have been injured and those who stood steadfast over the last three months. They are the heroes of modern Ukraine. Slava Ukraini! Glory to Ukraine! Heroyam Slava! Glory to Heroes! Your Humanitarian Aid donations are helping the injured and their families, providing for surgeries, medical supplies and unexpected costs associated with the need for medical assistance; helping the families of the deceased; helping those who are suffering as a result of activities and incidents in the last three months. Ваші гуманітарні пожертви забезпечують постраждалим і іхнім родинам: - хірургічні лікарські потреби, медичне обладнання і приладдя, непередбачені видатки при медичній допомозі, поміч родинам загиблих, загальна допомога постраждалим у сутичках за останніх три місяці. In the last week, UUARC headquarters continues to send collected humanitarian aid to help those in need at the EuroMaidans, in the form of medical, hygiene products, blankets, food, thermoses, and the like. Understand that the humanitarian aid cannot reach all the hundreds of thousands that need assistance. Kindly understand that we can only provide this information at this time. За останній тиждень, головне бюро ЗУAДК далі переказує гуманітарну допомогу, зібрані ним фонди і допомагає потребуючим у вигляді медикаментів, гіґієнічних припасів, коців (одіалів), харчів, термосів, і.т.п., потребуючим на Євромайданах. На додаток до попередньо переданої суми грошей, ЗУАДК знову зробив переказ як грошей так і пересилку допомоги. Майте на увазі, що допомога не може досягнути усіх сотень тисяч потребуючих на майданах. Вибачте, але на даний час не можемо поділитися дальшими інформаціями. UUARC between November 27th through December 1st, provided Humanitarian Aid approved by its Board of Directors in the amount of $30,000 in the form as listed above, to Kyiv, Lviv, Mykolayiv, Luhansk, Kharkiv, and Sumy. Additionally, on December 2nd, the following was purchased and delivered: medications, hygienic necessities, 50 blankets, and 200 thermoses in the amount of $4,500. ЗУАДК в днях від 27-го листопада по 1-го грудня, передав призначену Дирекцією негайну гуманітарну допомогу в сумі $30,000 котра була вичерпана на згадані цілі в Києві, Львові, Миколаєві, Луганську, Харкові і Сумах. Додатково, на день 2-го грудня, було закуплено і роздано: ліки, гіґієнічні припаси, 50 коців (одіялів), і 200 термосів на загальну суму $4,500. В цей критичний час ЗУАДК продовжує збірку. Допомагатимемо пораненим, хворим, і іншим потребуючим. Оскільки внаслідок жорстоких розправ владних структур України продовжує зростати кількість загиблих та поранених, Світовий Конґрес Українців (СКУ) повторно закликає всю українську діаспору терміново надати необхідну гуманітарну допомогу. Від СКУ акції гуманітарної допомоги координують Злучений Український Американський Допомоговий Комітет в США та Суспільна Служба Українців Канади, які збирають фонди на вкрай необхідні тепер для постраждалих медикаменти, а також на одяг та продукти харчування. Детальнішу інформацію про ці акції можна отримати на веб-сайтах Злученого Українського Американського Допомогового Комітету: http://www.uuarc.org/contact-us/ та Суспільної Служби Українців Канади: http://www.ucss.info/ . Злучений Український Американський Допомоговий Комітет просить висилати пожертви на його адресу: UUARC, 1206 Cottman Avenue, Philadelphia, PA 19111, U. S. A., вказавши у примітці Гуманітарна допомога ЄМ, або на його рахунок в українських кредитівках США в Йонкерсі, Нью-Йорку, Філадельфії та Чикаґо. Також можна робити пожертви електронно: Donate Now - Online Credit Card Donations:www.uuarc.org . Додаткова контактна інформація Злученого Українського Американського Допомогового Комітету: тел. - (215) 728-1630, факс - (215) 728-1631, електронна адреса - uuarc@verizon.net , веб‑сайт - http://www.uuarc.org/contact-us/ . Суспільна Служба Українців Канади просить висилати пожертви з вказівкою свого імені та адреси на: Pomich Ukraini Fund, PO Box 74529, 270 the Kingsway, Etobicoke, ON M9A 3T0 або на рахунок N 6588D1 в Кредитовій спілці “Будучність”. Також можна робити пожертви електронно: Donate Now - Online Credit Card Donations:http://www.ucss.info/ . Додаткова контактна інформація Суспільної Служби Українців Канади: тел. - (416) 766-5812, факc - (416) 766-9916, електронна адреса - hqmain@ucss.info , веб-сайт - http://www.ucss.info/ . With the death toll continually rising and facilities overflowing with the injured as a result of the violence incited by Ukraine’s governing authorities, the Ukrainian World Congress (UWC) renews its call for the Ukrainian diaspora to provide urgently needed humanitarian aid. The aid is being coordinated by the United Ukrainian American Relief Committee (UUARC) in the U.S.A. and the Ukrainian Canadian Social Services (UCSS) in Canada, that are accepting donations for medication, clothing and food products. For more detail on the aid programs visit the organizations’ web sites: United Ukrainian American Relief Committee http://www.uuarc.org/contact-us/ and Ukrainian Canadian Social Serviceshttp://www.ucss.info/ . Cheques can be made payable to United Ukrainian American Relief Committee and mailed to: UUARC, 1206 Cottman Avenue, Philadelphia, PA 19111, U. S. A. Please designate your donation as Humanitarian Aid for EM. Donations can also be made directly to UUARC at Ukrainian American credit unions in Yonkers, New York, Philadelphis and Chicago. Donations are also accepted online - Donate Now - Online Credit Card Donations:www.uuarc.org . For further information contact UUARC: tel. – (215) 728-1630, fax – (215) 728-1631, e-mail –uuarc@verizon.net , web site – http://www.uuarc.org/contact-us/ . Cheques, along with your name and address, can be made payable to Pomich Ukraini Fund and mailed to: Pomich Ukraini Fund, PO Box 74529, 270 The Kingsway, Etobicoke, ON M9A 3T0. Donations can also be made directly to Pomich Ukraini Fund Account N 6588D1 at Buduchnist Credit Union. For further information contact UCSS: tel. – (416) 766-5812, fax – (416) 766-9916, e-mail –hqmain@ucss.info , web site – http://www.ucss.info/ . Copyright © *|2014|* *|Ukrainian World Congress|*, All rights reserved.